I came across an article I never thought of. Imagine if you could donate hundresds of thousands to millions per year in charity? This is all because high paying quants make between 300K to $10M. There were a bunch of questions to one of these quant researchers who did a Q&A podcast. You should check this out. Quant trading pays very well, plateauing at between $300,000 and $10m a year after five to ten years, depending on performance. Onward and upward, I might make a pricey ‘Bonus video’ on these topics which appear to be popular for those visiting my Youtube channel and blog. Of course my Quant Analytics members will get that free once created. Also, don’t forget here are our current product found on my Shopify store. This entry was posted in Quant Opinion and tagged 000s, 100, Donate, Quant, trader, working on August 29, 2017 by caustic. “Donating millions within a few years” is a high 90s all-star. This entry was posted in Quant Opinion and tagged Donate, Quant, trader, working on August 29, 2017 by caustic. I have finally got Python working with a broker. It ain’t my favorite once known as Oanda. Ugh. I know but working with Dukascopy’s Jforex is much tougher with its strict compliance embedded Java JAR approach. I tried with that but after a case of Tylenol, I gave up. I decided to crawl back to this Oanda Python package. It worked so I explain all of this in my video with full details. gladly I just posted my first ‘bonus video’ on my Shopify account. I will keep this up for a limited amount of time as I am unsure how long I will keep this around. All of these videos are pretty well for trading edge so I don’t want too many people to have this. For those that want this for FREE, you need to be a Quant Analytics member. Simple concept. I will gladly take your money for the much higher price of course. So what are you waiting for? 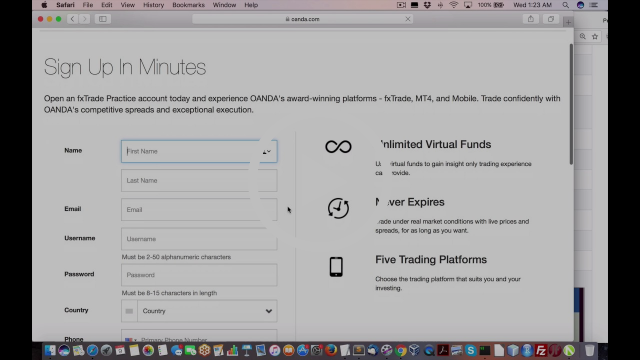 Join this exclusive Quant Analytics members as you get rare sneak peak views of my new updated automated trading system for both Interactive Brokers and Oanda forex trading. This will not last foreever. This entry was posted in Forex, Quant Development and tagged ForEx, help, Oanda, Python, trading, working on August 9, 2017 by caustic. This entry was posted in Forex, Quant Development and tagged ForEx, Oanda, Python, Tips, trading, working on August 9, 2017 by caustic.